BMW's, Ford's and Audi's oh my! Writing here from the Woodlands, Texas. March flew by in a hurry! The month marked my post college move into full time racing and the start of the 2019 race season. So far I’ve competed in two different racing series with two different co-drivers and two different manufacturers. The first race I competed in I drove the Audi R8 GT4 car, co-driving with Jason Bell. This was my first time racing in the R8 and it was a very interesting car to drive. In racing there’s this braking technique termed “trail braking” in which the driver of the car hits the brake pedal initially before entering the turn then slowly releases the pressure off the brakes (read as trails off) entering the turn all the way down to the apex. In previous cars I’ve driven, the Porsche 911 GT3 R, 911 GT3 Cup and Porsche Cayman, all really work well with trail braking. Let me tell you, the Audi does NOT! It’s really interesting. The car likes to have all the braking done in a straight line, release off the brake and roll a bunch of speed into the turn. Now something about the R8 GT4 cars that most people find surprising is that it has the V10, not the V8 in the car. One might expect the car to have a lot of power in it, however the BOP requires the car to have air intake restrictors that cut the diameter of the air intake nearly in half! The biggest thing this does is cut the torque the car is able to develop. While you still can realize strong power, the car doesn’t get nearly the grunt out of the corner versus some of the others. So enough of this rundown of the car, let’s get to the good stuff: the racing. 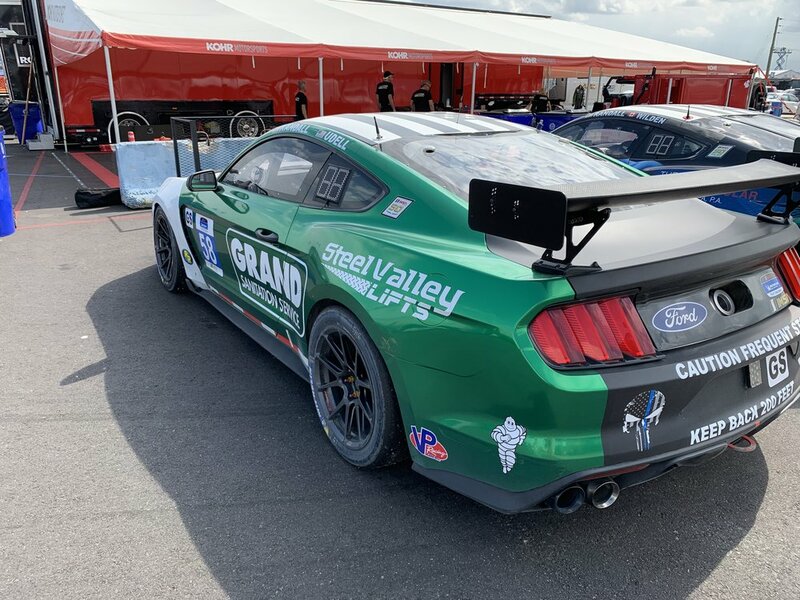 The way that the SRO GT4 America series works this year breaks the series into a few different series: GT4 SX East, GT4 SX West, GT4 SX and GT4 Sprint. SX stands for Sprint X, all Sprint X series have two drivers. Sprint X East runs at tracks near the East Coast, Sprint X West runs tracks on the West Coast and Sprint X runs around the country. Oh and “Sprint” is a one driver series run at select events. At SRO GT4 America COTA, all of the Sprint X classes were running at the event, which made for several Podiums. Ok, so finally the race portion of the weekend. Saturday qualifying was in the wet which made for an interesting show! We ended up qualifying 20th and seventh for Race 1 and 2. Day 1 we had a bit of work to do! Jason ran a great stint and got us up to 14th. On our pit stop, we struggled a bit with the driver change, oops! This put us out back in 17th by the time pit stops cycled through. From here it was just a matter of pushing forward in the field. What we really needed was a full course yellow, lo and behold we got it! From 17th I had moved up to 14th or 15th (too many specifics, I don’t know) and after the green flag flew I had a good storm up to sixth-place overall and second in our Sprint X Pro-Am class! Success! Many thanks to Jason Bell for the opportunity and his great drive. The following day weather was cold again, but we were ready and had a better starting spot starting from seventh on the grid! In SprintX, the driver who finishes the first race of the weekend starts the Sunday, or second, race. Back to the race… The second race started off well, gaining a couple spots in the opening laps. From there a pass on the re-start allowed me to gain another spot into fourth-position. Here we go! I put my head down and ran hard to catch the front group of Caymans. I was able to reach the third-place car and pass it before coming to pit lane to switch. Jason got in the car and was catching the first two cars for two laps then, unfortunately, got a transmission overheat warning that ended our day. It was gutting! We had the pace to win overall and Jason was on it! I believe we had it but we just weren’t able to make it happen. Disappointed to say the least about Sunday we still came out of the weekend with some hardware from Saturday! The next race I drove in was the IMSA Michelin Pilot Challenge at Sebring international Raceway. In this event I was competing in a Mustang GT4 with DJ Randall and Kohr Motorsports. If you’ve been following a little while you might’ve picked up on this being a return to the Ford Manufacturer for me! I grew up (from age 16-19) racing Boss 302’s in the SRO GT4 America series (Then called Pirelli World Challenge). Let me tell you. This car was completely opposite from the driving style of the Audi. Remember how the Audi didn’t really like any brake pressure into the corner and had a high rolling speed at the apex? Well the Mustang, being the front-engined V8 Muscle car monster that it is, has loads of torque and really scoots out of the corner well. Due to this, you drive the car a bit differently, get the car into the corner, brake hard down to the apex, get the car rotated and then stand on the throttle coming out. It’s a much more “seat of the pants” brute force type car versus the Audi which I could best describe as “surgical”. Let’s talk a bit about the series and track. IMSA is considered an endurance racing series, the races in the Michelin Pilot Challenge are anywhere from two-hours to four-hours long with two drivers in the shorter races and two to three drivers in the longer races. This event at Sebring was a two-hour race so driving duties were just split between myself and DJ Randall. The weekend was really cool because it was a shared weekend with both the IMSA WeatherTech series and the World Endurance Championships. The whole track was PACKED! Sebring is located in Central Florida on old WWII air field runways, some of the original tarmac makes up the track still, and you can tell when you drive it. It’s known for being rough in spots and well, it beats the hell out of you! Qualifying saw DJ in the car. We plan drivers based on who will run what stint in the race as the qualifying driver has to start the race. DJ did a good job to qualify the car 15th even through a red flag early on in the session as the car was coming in. Again, not the end of the world as the grid had over 25 cars on it. The race start came and in typical Sebring fashion, there were a few caution flags that led to a bit of time under caution. That was good for us because, again, being a big V8, the car loves running through fuel! As the 40-minute window came around we got ready to go and make a driver change. Let’s take a pause and emphasize one of the cool things about endurance racing. In endurance racing the team aspect of our sport really comes out. I mean this because there’s a pit stop in which 1. The drivers have to do their job properly, bring the car in clean and switch out in around 40-seconds, 2. There’s tire changes which require a blend of dexterity, speed, concentration and adrenaline, all while wearing gloves and a full face helmet. And 3. A fueler who has to hit his mark perfectly and make sure to not under-fuel the car when the fuel “bobbles” at the top of the cell… we have to pack every drop of fuel in we can. Ok back to the race, our pit stop went fairly smoothly, aside from a hitch in the driver change, causing us to lose about 10 spots on the track, that’s how precise you’ve got to be! A few laps into my stint we got a caution, I was able to take advantage and move up a few positions. In the end we battled up to as high as ninth place and ended up 11th at the finish – losing out on the top 10 on the last lap. It was a great effort by the team and we were able to come out of the race as fastest Mustang. The race didn’t go quite our way but we battled through and came out ahead of our starting position! I’m grateful to DJ Randall and Kohr Motorsports for the opportunity and again to Kohr for working hard to get everything together in a short time to give DJ and I a strong car! March also brought a new opportunity to my plate too! I went abroad! Immediately following my trip to Sebring, Florida, I flew from Miami to Amsterdam to meet with MDM Motorsport on the coast of Holland at a track by the name of Zandvoort. 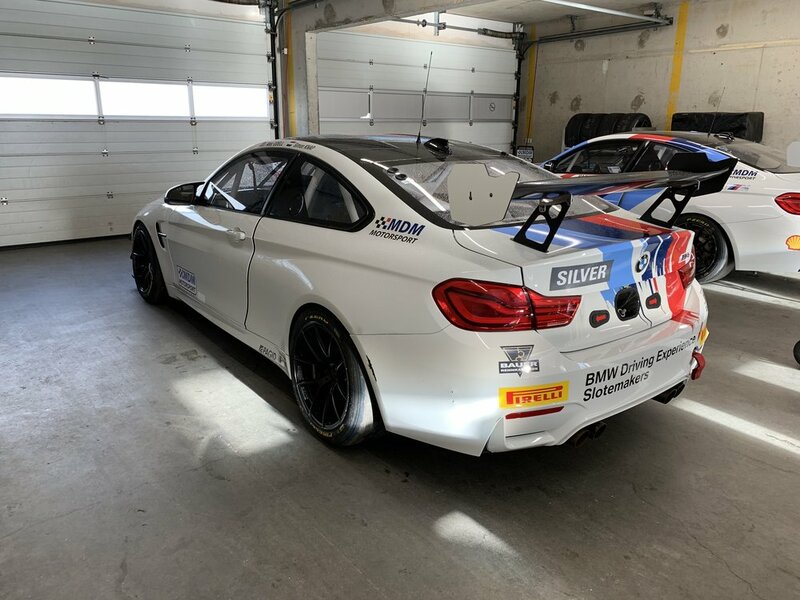 There I tested in a BMW M4 car that MDM ran last year in the SRO European GT4 Championship. We had been put together by a mutual acquaintance as I’d been interested in running in Europe for a long time. However, I had not been able to dedicate myself to the travel time required to race overseas due to my commitments with my studies in Mechanical Engineering at Clemson. Since I graduated in December, I’m now able to pursue that goal of racing in Europe! Could he possibly do another “car description?” Yes. It’s my post and I’ll do what I want with it! Ha! Well, I’ve been in a unique situation in that this was the third GT4 car that I had driven in the month. The BMW was a blast to drive. I don’t know if it was the jet lag and lack of sleep or what but I got into the car and straight away felt at home in the car and on the track. The M4 is very well balanced, kind of right in between the Mustang and Audi. The power from the twin turbo 6-cylider engine was more than enough for the car… it really scoots out of the corner! Not only that but into the corner the car was well balanced and I felt I was able to place the thing exactly where I wanted it. It is a relatively heavy car, but you can’t necessarily tell when you’re driving it. Now, the track! Everyone says how European tracks are so full of runoff with plenty of room for errors. This was NOT the case here! As I came to find out, this track is old school cool. Meaning there’s plenty of walls, mud and gravel traps to get yourself into trouble if you get out of line. I was in love. One of my favorite tracks is Mid-Ohio, to me this was a combination of Mid-Ohio and Watkins Glen. Lots of high speed commitment stuff on the first half of the track with short technical parts on the second half… including plenty of steel and concrete walls to hit if you’re not careful. For an American coming over this is a great place to go to as it reminds you a lot of home. Once testing was completed and done we were able to get over any fears of the other. In this sport, word of mouth goes a long way, but to get that all the way across the pond is difficult. You’ve got to go and show what you’re made of. This happens in both the team and the driver’s mind. On one front, the team has to make sure they’re getting a driver that’s respectful of the equipment, yet still is an asset to the team in that he is able to be quick without being reckless and gives good feedback. All of this while trying to fit well in an environment where he’s not really at home, doesn’t speak the language etc. From a driver’s perspective the goal is always to win. A driver wants to know the team is in it to win, not just to put a car out and run around. As I said earlier in the blog, racing is entirely a team sport, everyone needs to be on the same page in order to have success. I’m happy to say the MDM team and myself were able to have a successful day. We came to an agreement and we are moving forward with plans for 2019 SRO European GT4 Championship! Our first race is at the world famous Monza Circuit in Italy, April 12-14.